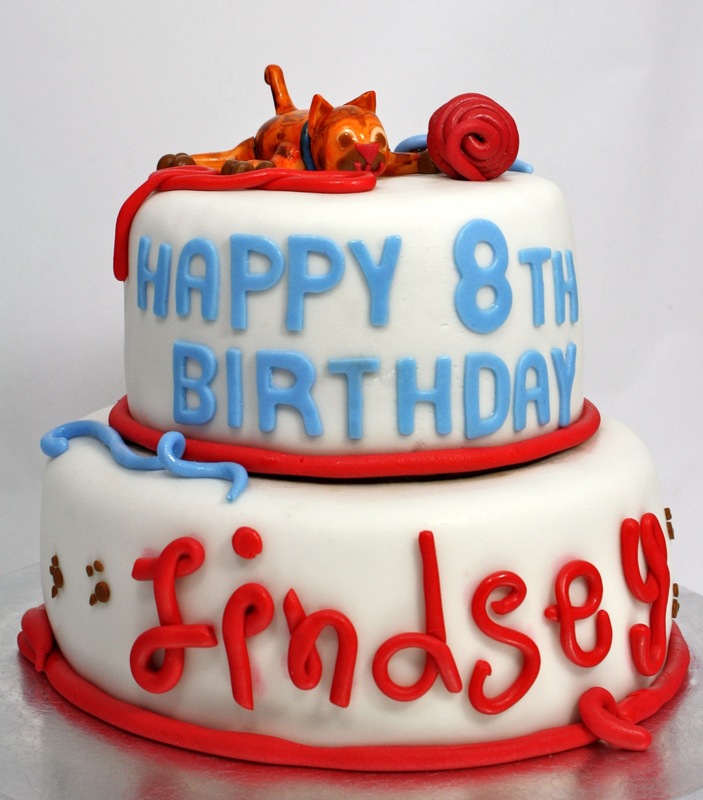 Lindsey “likes” to check out all of the treats I make via my facebook page and insisted on a custom cake for her 8th birthday party. 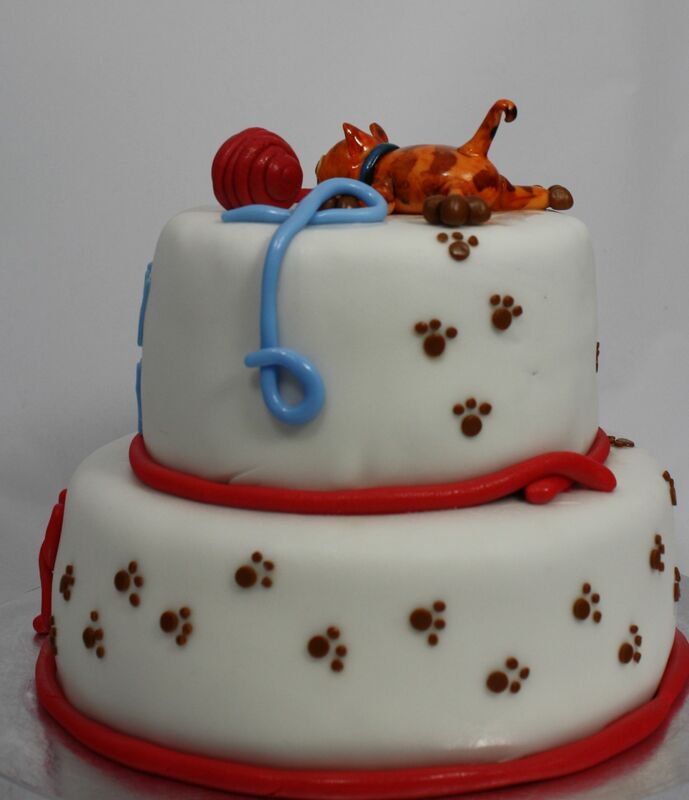 She was pretty hands-on when it came to designing her cake, and it was fun to have such creative input! This is chocolate cake with chocolate frosting, with a layer of milk chocolate chips in the middle. Happy Birthday Lindsey! 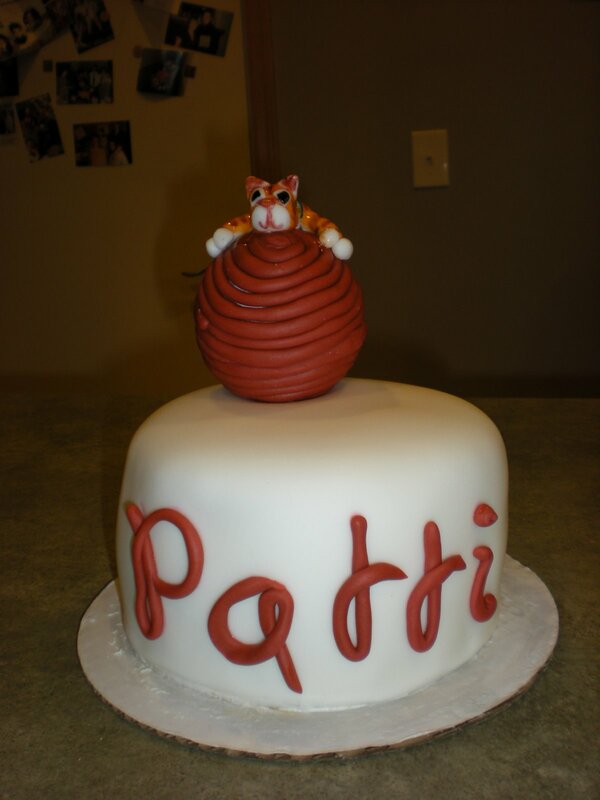 Patti has a special place in her heart for cats, so what better way to celebrate her birthday than wtih a cat cake? 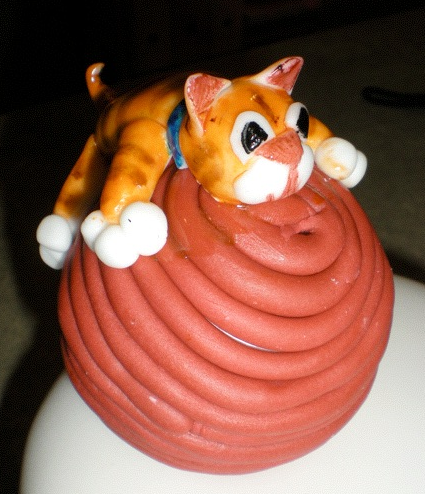 This is a 6-inch round cake with a cake topper designed to look like the family cat, Caramel. This cake serves 8 people.